The preferred source for all New York City signage. 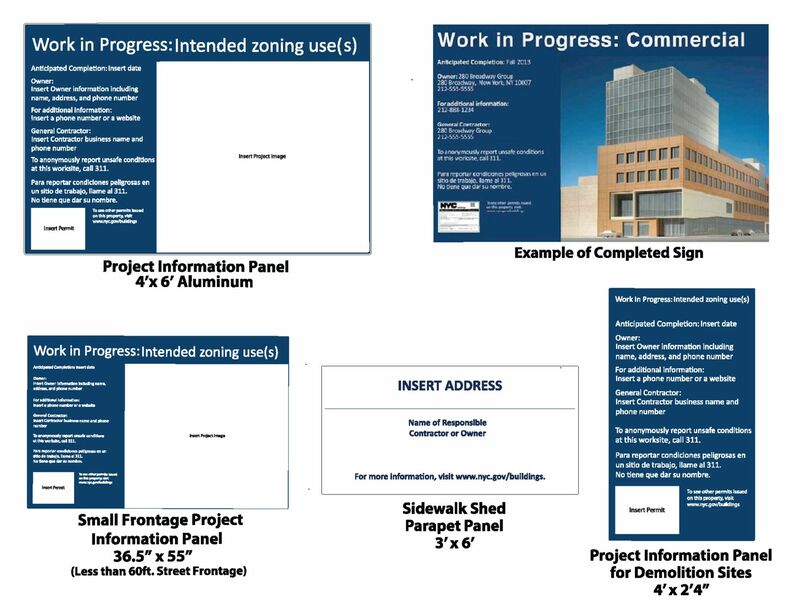 Effective July 1, 2013, the NYC Department of Buildings has issued new & very specific regulations for jobsite construction signs. Colony is ready and able to help your company comply with the latest D.O.B. construction sign regulations. Please use the interactive form below to order your custom sign. NYC DOB Signs will be made on durable .125 aluminum (FR Rated) and will include an Anti-Graffiti and UV protective coating for no additional fee. Click to see our Anti-Graffiti and UV coating in action! 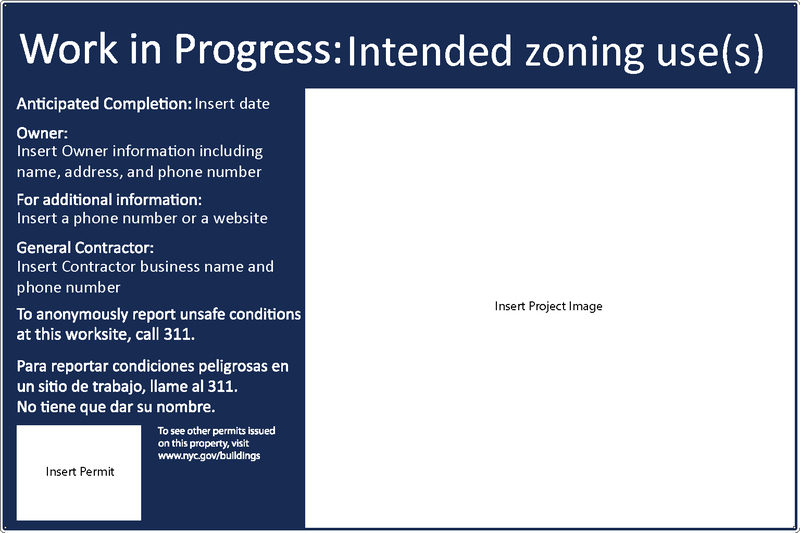 Below are some examples of the new "Project Information Panels". To place an order or request a quote, complete each box below and select the applicable box. A Colony sales representitive will contact you shortly. Prefer to fax? Click here to download our convenient order form. Insert Owner information including name, address, and phone number. Insert a phone number or a website. Insert Contractor business name and phone number. Credit Card: If you wish to pay by credit card, someone from Colony will contact you for payment information.